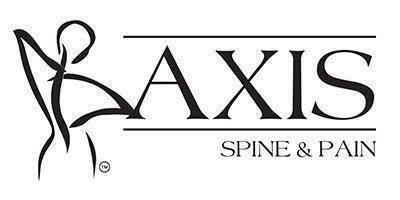 Axis Spine and Pain offers minimally invasive treatment options for patients in Macon and Warner Robins, Georgia. Those who have back, neck, or knee pain or those with an underlying condition, such as arthritis or diabetic neuropathy, can find relief from the multidisciplinary approach the Board-certified physicians use for treating pain. Rather than having to rely on medications or having to resort to surgery, patients can choose from nonsurgical treatment options that offer safe and effective relief. At Axis Spine and Pain, the team of physicians, nurses, anesthesiologists, and staff are dedicated to ensuring that patients can improve their quality of life with pain relief that involves the use of cutting-edge technology. Patients with chronic pain can depend on providers at the Macon or Warner Robins office to fully evaluate their condition and come up with a treatment plan that works for them. Axis Spine and Pain has clinics in convenient locations to make it easier for patients to be seen quickly and start working toward recovering from chronic pain. Having locations in Macon and Warner Robins allows physicians and staff to see a large number of patients without having to schedule appointments several weeks in advance. Patients who want to make an appointment for pain relief should ask their primary care physician for a referral today. "I began going to the pain center 4 years ago. The staff was on point every time I have visited." "Best staff in the business. I know them personally and professionally. They took care of me during an emergency and I will be forever grateful!" "I wouldn't go anywhere else. Great doctors and staff, speedy and very clean office."